"Softbit Solution is a Software Development Company providing new edge of IT services ". 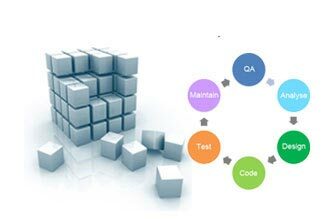 If you are looking for a reliable long-term partner in the areas of offshore Software Development, Software Testing and Web Development, then Softbit Solution is your best choice. Please acquaint yourself with the detailed information on our company that is presented on this site, and write to us if you wish. We strive to constantly optimise our operation and expand the selection of services we offer, and we will be very happy to discuss your ideas. Our Software development process starts with analyzing your requirements and needs. Considering all this, experts at Softbit Solution targets to develop consistent and efficient applications that help you to manage your business process easily and effectively. We do consider user friendliness in graphical interfaces of the applications and try to create interfaces that are simple and easy to use.